The U.S. Department of Energy Weatherization Assistance Program provides grants to states, territories, and some Indian tribes to improve the energy efficiency of the homes of low-income families by providing energy conservation products. The grants enable local governments and nonprofit agencies to provide weatherization services and home energy upgrades. The low-cost improvements, like adding weather stripping to doors and windows to save energy, lead to long-term savings. In addition to helping families save money, the resources saved through energy conservation also helps our country reduce its dependence on foreign oil and decreases emissions of greenhouse gases. Since the inception of the WAP, over 7 million homes have been weatherized with DOE funds. Energy savings average 35% of consumption for the typical low-income home. Occupants of weatherized homes experience in the range of $400 in annual savings on their energy bills, at current energy prices. Weatherization measures reduce national energy demand by the equivalent of 24.1 million barrels of oil per year. If you do not have a WAP in your area, look for a Community Action Partnership (CAP) program. Their weatherization program is available for both homeowners and renters who receive fuel assistance. Using local licensed contractors, the program provides free major improvements, such as attic and wall insulation, air sealing, and other energy-saving repairs. These organizations and other local agencies, like the Community Energy Project in OR, offer weatherization workshops to learn how to install energy saving devices in your home. 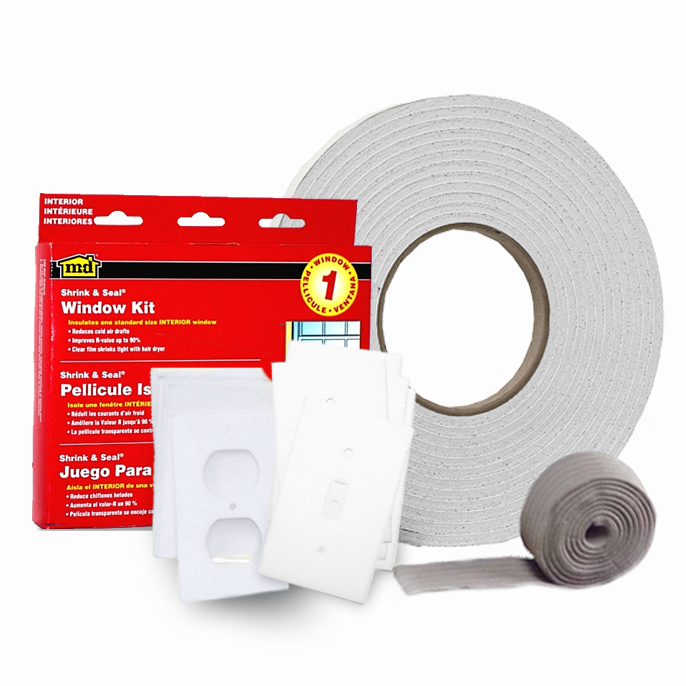 Energy Saving Kits often include items such as reusable vinyl storm window kits, door weatherstripping, pipe insulation, a compact fluorescent light and more. Conservation Mart offers a wide variety of weatherization, energy conservation products and water saving devices directly to consumers and we are happy to customize kits for your organization. Please call us for a quote: 1-800-789-8598.